We understand that filing your tax return can be a slow and painful process, but at Brian Alfred we take the hassle away for CIS and PAYE workers. We’re experts when it comes to tax refunds for builders and we’re specialists in maximising your rebate, so you get back everything you’re owed. As a builder, you’re likely to be paid either through PAYE (Pay as You Earn) or via the CIS (Construction Industry Scheme). Whether you’re currently a PAYE worker, have been CIS for years or have recently made the switch from PAYE to CIS, we can help you get your full tax refund. 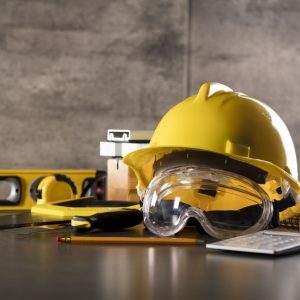 If you’re a construction worker – whether you specialise in building, scaffolding, roofing or plastering – and paid through the CIS scheme, you’re likely to be owed a tax refund. As there is a standard advance tax deduction for CIS workers of 20%, members of the scheme usually overpay in tax throughout the year and are therefore due refunds at the end of the tax year. As one of the UK’s leading CIS tax rebate specialists, Brian Alfred will help you maximise your tax rebate. What helps you get the largest possible CIS Tax Rebate? We’re experts at maximising your rebate and getting you back all of the tax that you’re owed. To make the most of your tax rebate as a CIS worker, we need to know the following things about you, however if you need our help or assistance we’re just at the other end of the phone. When you request our tax pack and fill it in, we need to figure out exactly what you’re owed. Brian Alfred’s group of experts will help you claim your CIS rebate not only for for the tax you’ve already overpaid, but for additional things such as travel and accommodation, training, tools and a host of other expenses. What expenses can I get refunded in my tax rebate? As a builder, whether you’re paid through PAYE or a CIS worker, you may be surprised at what expenses you can claim back. There are, however, some differences to what you can claim depending on whether you’re a CIS or PAYE worker. As a general rule, if you buy something you wouldn’t otherwise have bought if it wasn’t for your work, you may be able to claim it back. Visit our Expenses Guide for Builders to discover what you can claim for as a PAYE or CIS builder. If you’re a construction worker and are paid through the CIS scheme, you may be owed a tax refund. As there is a standard advance tax deduction for CIS workers of 20%, often those who are members of the scheme over pay in tax and are due refunds at the end of the tax year. If you’re not sure whether or not you’re due a refund, visit our tax rebate calculator to see whether you qualify for a rebate. 1. Send it. Download, fill in and sign your pack and send it over to us, including proof of income. Any receipts are best sent to us as copies but if you can only send the originals, then that’s okay too. 2. Approve it. We’ll calculate your rebate then let you know how much your rebate is worth. Once you’ve let us know you’re happy, we’ll process your payment. If you don’t want your rebate, you don’t pay us a single penny. No questions asked. 3. Spend it. As long as everything looks ok, we’ll pay your full rebate straight away. No waiting around for HMRC to check everything. If you’re a PAYE worker, the process is very similar to CIS but please make sure you send us copies of all receipts. The good news is that you can claim on expenses you’ve incurred over the past four years. You might be sitting on a little goldmine! 1. Send it. Download, fill in and sign your pack and send it over to us along with your P45s, P60s and P11Ds, proof of any other income, mileage logs and receipts for any other expenses incurred. 2. Approve it. We’ll do all the calculations then get in touch to let you know how much your rebate is worth. If you don’t want to go ahead, you don’t pay us a single penny. No questions asked.